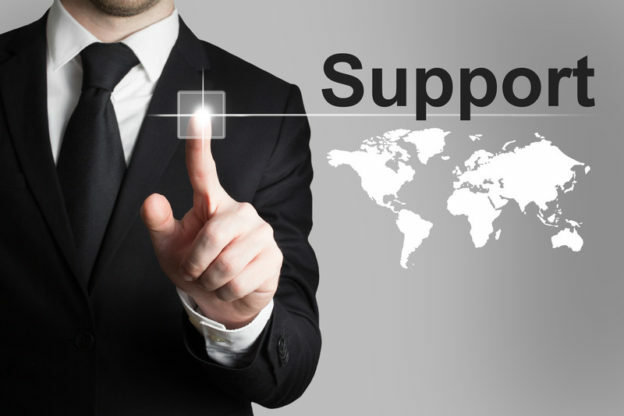 Most business owners understand the need for professional IT support staff. Computer networks and online operations have become essential factors in running a modern business, and these technologies require advanced support for the purposes of productivity and security. That said, hiring on-site IT staff can be extremely expensive. Competing for the best and brightest employees may be beyond the means of many small businesses, or even their mid-sized brethren. With the onus on companies to provide the latest technological innovations for clients and consumers, as well as protect the private information customers provide, some businesses can find themselves stuck between a rock and a hard place. There is, however, an alternative that could provide the practical and budgetary solutions many businesses are seeking. Remote support will allow owners and operators to focus on the important tasks required to keep their companies afloat. With remote support options, you needn’t pay major money for a dedicated network administrator and IT security staff. Here are some of the benefits you stand to gain by hiring a reputable and reliable remote technical support provider. Companies that provide remote support options are able to hire the most technically proficient staff, ensuring that you have access to expert diagnosis and speedy implementation of solutions. This will help you can get back up and running in no time, no matter what problems you face. In addition, most remote support groups can also provide on-site technicians as needed, solving any hardware, software, or network issue you might experience. In addition to supporting your current infrastructure, many remote support operations can also provide you access to the latest hardware and software solutions. They can offer advice on how best to set your business up for success now and in the future. In some cases, they can even offer consultations and help you to create a plan to completely overhaul an aging, ailing, or failing infrastructure. If they don’t provide the technological solutions you need, there’s a good chance they’ve partnered with hardware and software providers to facilitate access to the products you need. They may even net you a discount on the price of purchase and implementation. One of the best aspects of remote support providers is that they tend to offer monitoring and maintenance services to ensure that your network remains up and running. Monitoring is an essential part of setting a baseline for activity so that unusual network usage can be spotted and activities by would-be hackers can be stopped before any damage occurs. Uptime and security can only benefit from the addition of monitoring services. Maintenance is also essential. When you hire a remote support vendor for your business you can select packages that include regular updates for software and firmware so you’re always protected and up-to-date. Sure you can create your own cloud accounts, but then you have to manage them in addition to everything else on your plate where running your business is concerned. Your remote support provider can offer you off-site backup options so that you have a save point to revert to should the worst occur and you find yourself suffering downtime or a malicious attack by hackers. Computer security is of the utmost importance for businesses, many of which are woefully under-protected. Experts say it is a matter of if, not when, a small business will suffer a data breach, so you need to prepare as best you can. You don’t necessarily have the same target on your back as a mega-corporation, so you may escape the attention of elite hackers. However, lower level criminals could certainly take an interest in the confidential data you store, including customer names, birth dates, and credit account information, among other data. A remote support provider can offer you excellent options for security, and monitoring services can supplement these protective measures. It’s true that hiring a remote technical support service will cost you some money, but it’s likely to be significantly less than you’d pay full-time, on-site staff that can offer you the same benefits. With knowledge and experience, plus an endless array of options for support solutions and security features, you’ll be hard pressed to find a reason not to hire remote technical support for your business.